If we're a bit careless with our computer, it's rather usual that it starts having problems, like slowing down when running programs or giving us error messages when we're carrying out a task. If this happens to you, Reimage PC Repair Online offers you the solution you need. 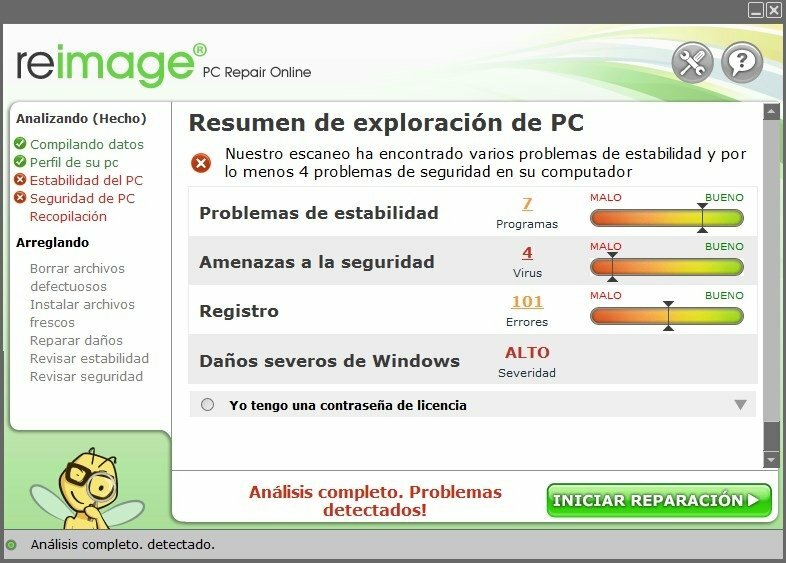 With this tool, you'll be able to scan your computer searching for the problem and recovering the system with new files that replace whichever ones are damaged. These files will be downloaded from an online repository. Access an online repository to find replacements for your files. Solves problems with system errors, DLL libraries, damage caused by viruses, etc. Replaces lost or damaged system files. Simple and intuitive interface design. Possibility to delete faulty files.